Snow ball cookies| Melting Moments Cookies are my favourite. I love Cake World's melting moments biscuit with cashewnuts. I can finish a whole lot with in minutes. Because it is tasty and as the name says it melts in mouth. One thing stops me eating this is the butter it is tasty but taste comes mainly from the butter. I have tried this recipe first time and happy with the outcome. Have a recipe using custard powder will try that recipe and share that soon. I have referred Joy of Baking for the recipe. A keeper recipe perfectly suits for christmas and all occasions. In a bowl add butter, powdered sugar and vanilla essence. Mix well till it gets a creamy texture. In a separate bowl add the all purpose flour, corn flour and salt mix well using a whisk or stain using sieve to combine evenly. Add this dry ingredients in three lots into the butter mixture and mix well. Refrigerate the dough for 30-40 minutes until firm. Take a tablespoon size of dough and roll using hand and transfer on top of a baking tray lined with butter paper. Preheat the oven to 180 degrees for 10 minutes. Then reduce the temperature to 170 degrees and start to bake the cookies for about 15-20 minutes depends on the size of the ball. The bottom of the cookies turns golden colour once it is done. Cool the cookies for about 5 minutes. 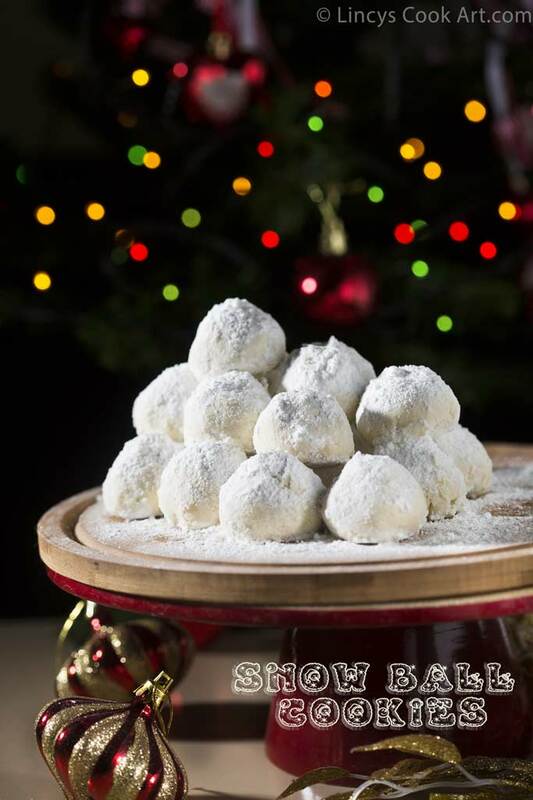 While they are warm, roll them on powdered sugar to get a coating over the cookies. Allow to cool and store it in a airtight container.